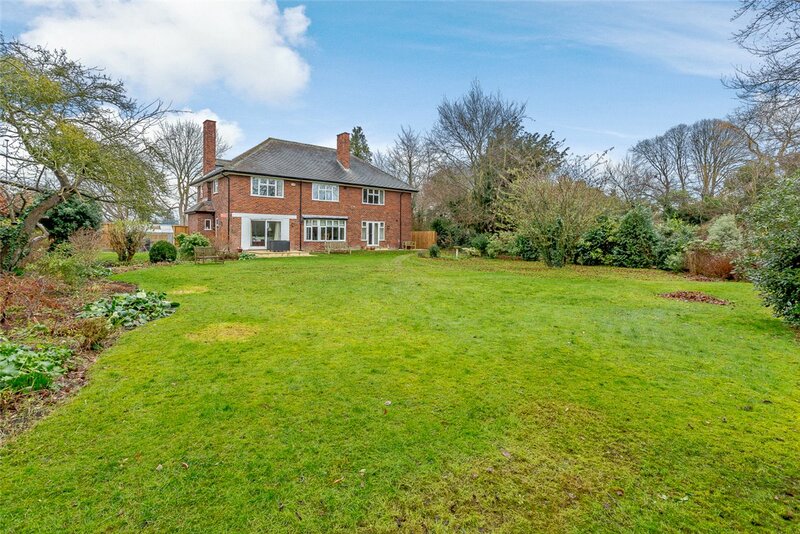 A substantial detached 1930’s family home set in gardens extending to about half an acre and located in a highly regarded residential area about 1 mile to the west of the city centre. 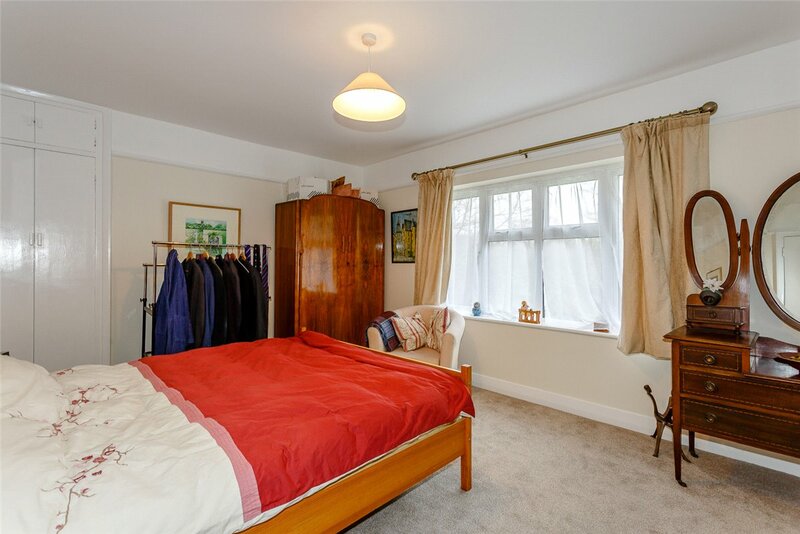 This fine 1930’s property has been restored in recent years and enjoys the benefit of sealed unit double glazing, complemented by a gas fired central heating system. 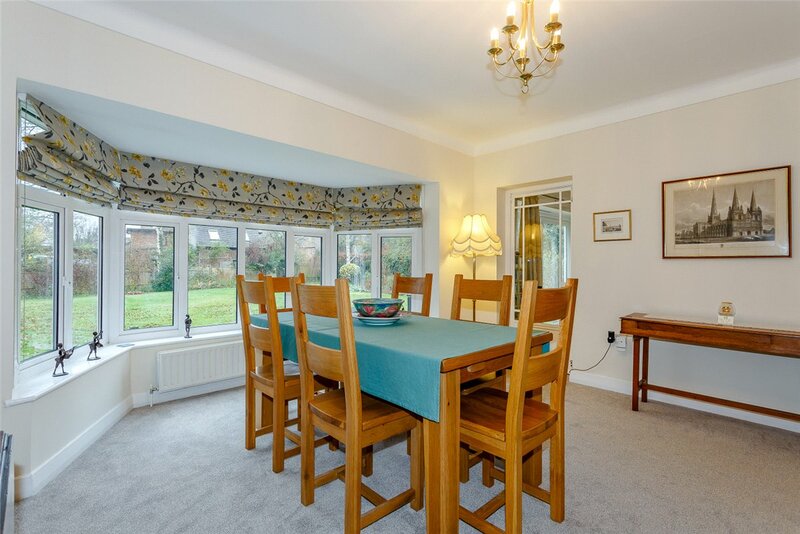 The kitchen, cloakroom and bathrooms have been replaced, and updated recently and there are fitted carpets in the main living spaces and bedrooms. 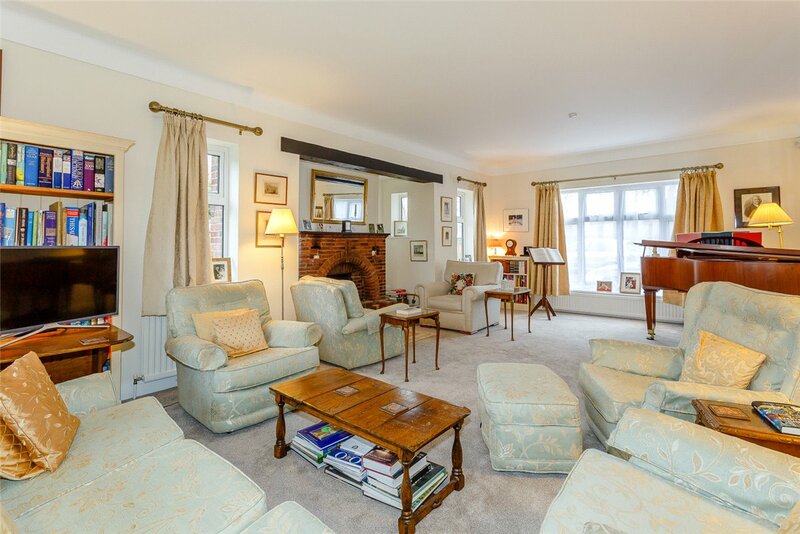 The property retains many original architectural features including picture rails, panelled doors, kitchen cupboards and the impressive open fireplace in the drawing room. 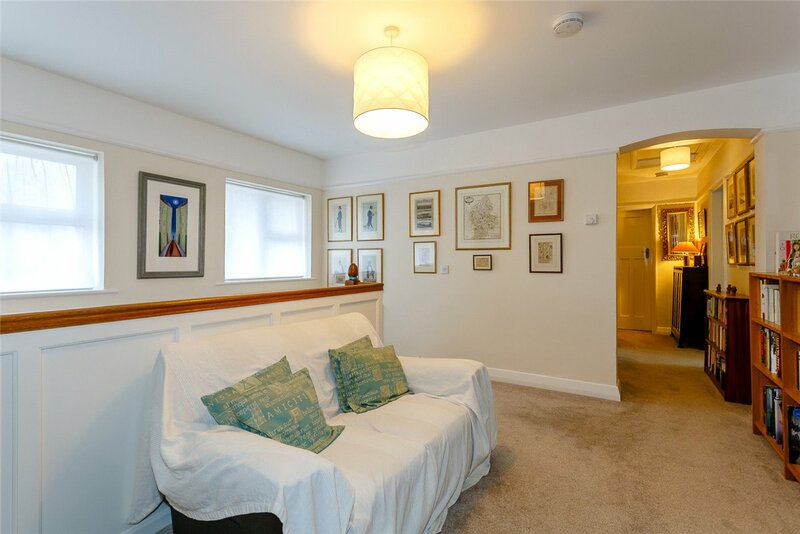 Overall the property is in good decorative order throughout. At the main entrance is a splayed integral porch opening into the reception hall. 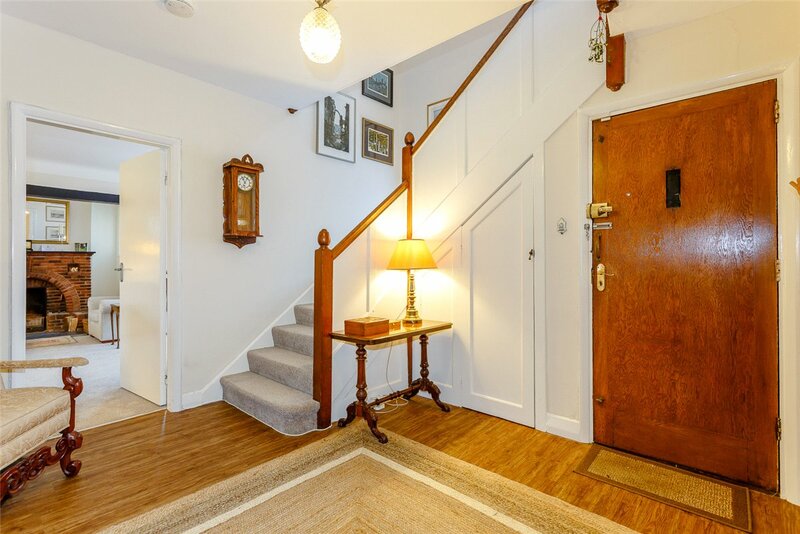 The hall is a lovely open space and the stairs, with cupboard under, lead to the first floor. The large cloakroom has a recently re-fitted W.C. And hand basin with ample space for coat hanging. 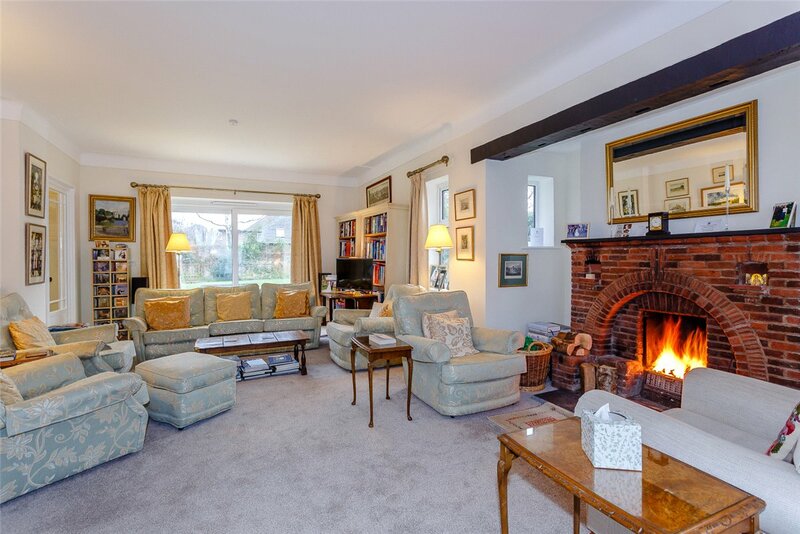 The elegant drawing room enjoys triple aspects over the back, side and front gardens and an attractive recess with small windows and the arched brick fireplace with slate hearth and over mantle. 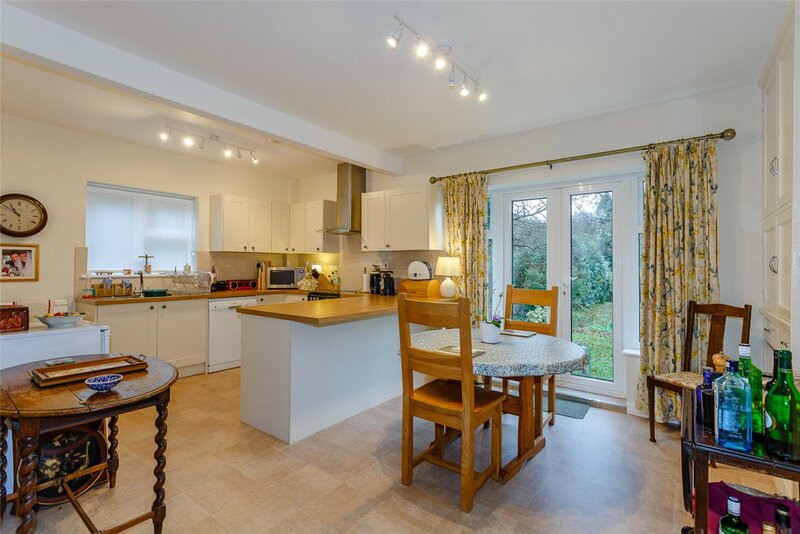 There are sliding doors to the back garden terrace and a glazed door leading to the dining room, which is another impressive room with a wide bay window overlooking the back garden and has a serving hatch to the kitchen. The kitchen breakfast room has a separate kitchen area with a range of modern units comprising of wall and base units with wood effect worktops above, inset sink unit with mixer tap and tiled splashbacks. Space for cooker with extractor above and recess for dishwasher. In the breakfast area, there are original built-in cupboards incorporating serving hatch to dining room and large open shelved cupboard with cupboards above; French window to garden, door to back entrance lobby. The adjacent utility room has a quarry tiled floor and a sink set into work top with cupboards below and above. Tiled splashback, space and plumbing for washing machine. The back lobby has doors to the side garden/utility area, the integral garage and to a large walk-in store. On the first floor is a large bright gallery landing with passage off and loft access. There is a separate shower room and large airing cupboard with pressurised hot water cylinder and slatted shelves. The family bathroom has been re-fitted with a panel enclosed bath with tiled surround, a pedestal hand basin, a close coupled W.C. And ladder radiator. 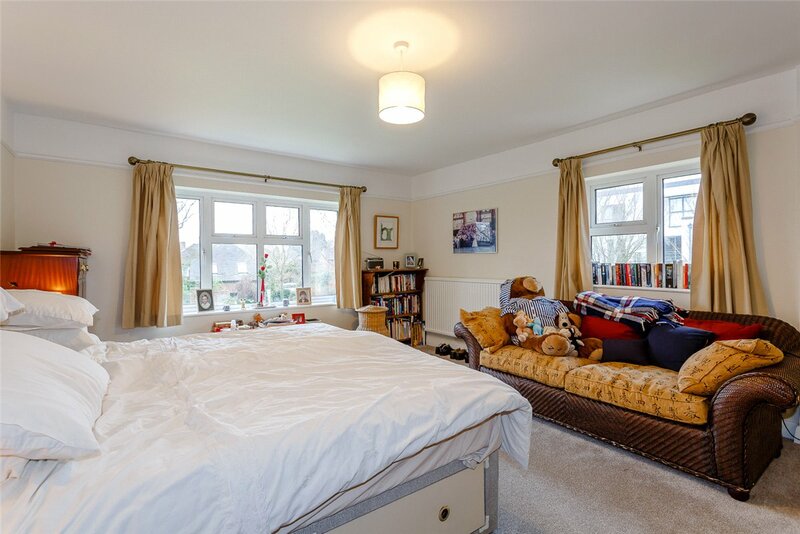 The master bedroom enjoys views to the south over the back garden and has an en suite shower room, which has recently been re-fitted with a shower cubicle, hand basin and close coupled W.C. And ladder towel rail. Bedrooms 2 and 3 are also at the back of the house with views over the back garden. 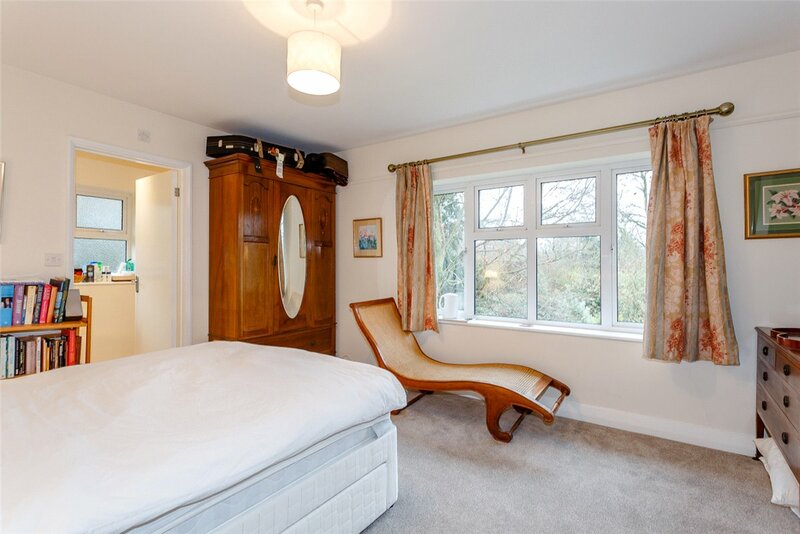 Bedroom 4 has an aspect to the side with a large storage cupboard/box room off. Bedroom 5 is currently being used as a study and overlooks the front and side gardens. 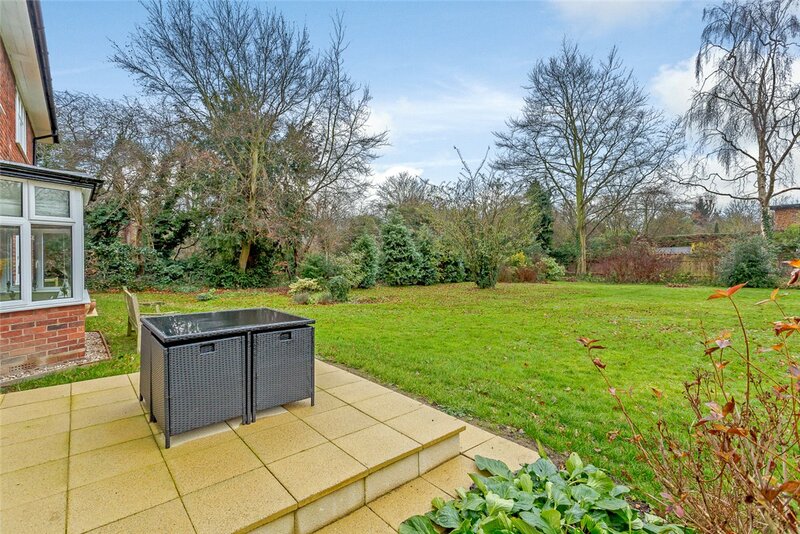 The plot extends to about 0.38 Acre in all with mature gardens to the side and rear. 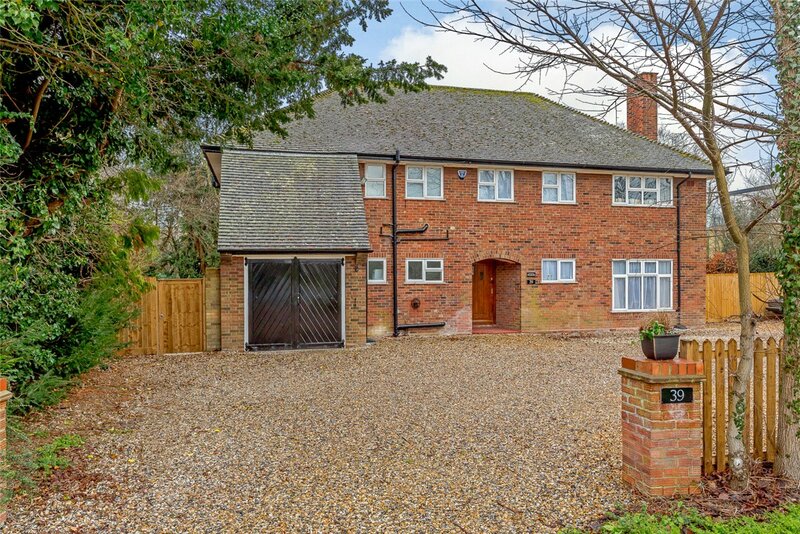 To the front of the property is a wide shingle driveway with space for several vehicles and this gives access to the integral garage, which has private pedestrian access to the house. To the back are large south facing gardens with central lawn bordered by shrub and well stocked flower beds. Raised terrace adjacent to the drawing room. The property will be sold subject to restrictive covenants, principally to ensure the property continues to be used as a private dwelling house and not to be used for immoral purposes or the sale of spirits and liquor.